Synonyms: Artocarpus integrofolia, Artocarpus polyphema, Artocarpus chempeden. Other names: Banking, baroh, chempedak. Champada is a fruit from South East Asia. It grows in Southern Thailand and Peninsular Malaysia. It is also cultivated Indonesia. 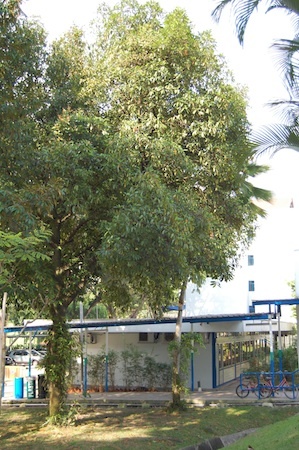 Champada grows only in tropical climate. This fruit closely resembles jackfruit. 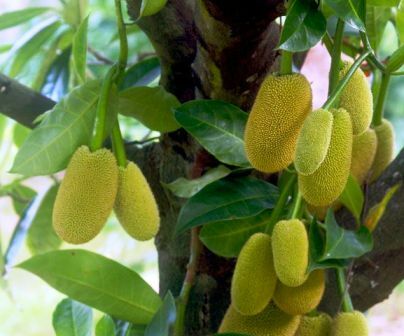 However, its fruits are smaller in size than those of jackfruit and the tree has long brown hairs on twigs as well as leaves. Champada is very popular in Southern Thailand. An evergreen monoecious tree up to 20 m tall, seldom buttressed; bark is greyish brown with bumps on the trunk and main limbs where leafy twigs, which bear the fruits, are formed; twigs covered with brown hairs. Leaves obovate to elliptic, 5-25 × 2.5-12 cm, base is cuneate to rounded, margin entire, apex acuminated; lateral veins in 6-10 pairs, curving forward; petiole 1-3 cm long petiole,; leaves covered with brown wiry hairs which are 3-4 mm long. Flowers solitary and borne on the axillary position of short leafy shoots; male heads cylindrical, 3-5.5 × 1 cm, whitish-yellow, peduncle 3-6 cm long; female head with simple filiform styles exserted to 1.5 mm. Fruit is a syncarp, cylindrical to almost globose, 20-35 × 10-15 cm, yellowish, brownish, or orange-green, smelling strongly at maturity. Seeds ellipsoid to oblong, about 3 × 2 cm, cotyledons unequal, thick and fleshy. ; 14 – 131 per fruit and each weighing from 1 – 12 g.
The fruits are eaten both before and after ripening. Young fruits are cooked in coconut milk and eaten as a curried vegetable or in soup. The pulp in mature fruits becomes soft and mushy, typical yellow, orange or sometimes white to pinkish too. It also develops a strong characteristic smell resembling somewhat like that of durian at maturity, which many foreigners do not find pleasant. 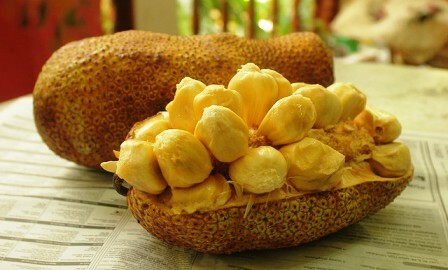 The pulp, however, tastes sweet, resembling like a durian and mango. The total fruit weight varies from 600-3,500 g and is generally smaller than the The total edible portion (perianths + seeds) is 25-50 percent of fresh fruit weight. The total weight of all perianths of a fresh fruit varies from 100-1200 g. The composition of the flesh on dry weight basis per 100 g edible portion is approximately: protein 3.5-7.0 g, fat 0.5-2 g, carbohydrates 84-87 g, fibre 5-6 g, and ash 2-4 g. Water content (fresh weight basis) is 58-85 percent. Seeds are also eaten. These are roasted or boiled in salty water for 30 minutes. Seeds and have a pleasant nutty flavour. The fleshy perianths, which surround the seeds, are eaten fresh or cooked. The composition of seeds, also based on dry weight, is approximately: protein 10-13 percent, fat 0.5-1.5 percent, carbohydrates 77-81 percent, fibre 4-6 percent and ash 3-4 percent. Water content (fresh weight basis) is 46-78 percent. The wood, which dark yellow to brown, is strong and durable. It is used for building construction, making furniture and boats. The bark can be used to make rope and the latex in the preparation of lime. New plants are mostly raised from seed which are selected from superior trees. 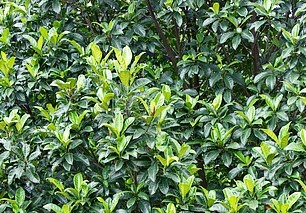 Champada can also be propagated by budding or suckle-grafting on on the champada as well as jackfruit seedlings. The rootstock should be 8-11 months old at the time of budding, which can be done at any time of the year. Champada is a very prolific bearer. In Thailand, there is also a practice of enclosing the fruits in bamboo baskets or even in bags. The farmers say that they do it to protect the fruits from rodents. Harvesting is simple because the fruits are produced on the trunk and the main branches. In southern Thailand, the fruit is often bagged on the tree or enclosed in a loose basket of bamboo. The function of this basket is not clear. It is said that the bags protect the fruit against rodents, bats and fruit flies and attract ants that keep other insects away. 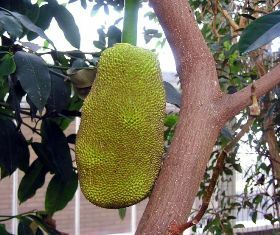 There are no yield records, but champada is a prolific bearer and yields may be similar to those of jackfruit trees. Champada remains a controversial fruit among non-local consumers because of its smell. So it will require extra promotion for selling it in overseas markets.